Wether you are a beginner student or you have already taken the path through preliminary years,you will find this pictionary a useful guide in you all school years , year after year .It differs from other traditional dictionaries in that you will find learning new vocabulary words an easy and interesting activity.It will be your first and final resort when looking for the meanings of words. - A complete reference book for children in school age. - A simple , easy, concise,and accurate pictionary. - Useful source organized alphabetically , with concise explanations of difficult words. 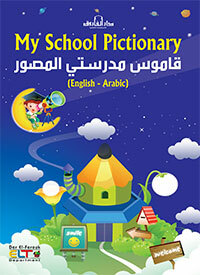 - A comprehensive picture dictionary that features around 2,000 words illustrated with clear pictures .